Looking for a Home? We're looking to help! Communities. Schools. Hospitals. Grocery stores. Work. Play. Coming soon. Market analytics. What's hot. Mortgage and insurance. 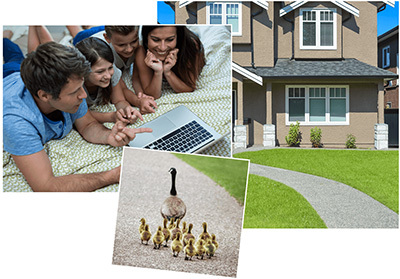 Connecting you with a team of experts on your home buying journey. It’s said that the best journeys lead to home. Migrating through search algorithms is only part of the story. An agent is a personal guide who helps you find the home that fits you well beyond 3 bedrooms and 2 baths. Your RealtySouth agent knows the market, tours inventory weekly, is privy to the inventory that's coming soon, and will spot the details that defines home to you. Trust your gut. You want to swiftly maneuver through the "maybe" list of homes to the "yes" list of homes. Finding a home that delivers the goods you need day-to-day, and treats you with the extras that make you smile, makes your journey unique to you. Your agent works alongside you, pays attention to you and remains flexible as your needs become more defined. Be ready to quickly tour a home as soon as it hits the market, keeping you ahead of the pack. Count on your agent to open the door. Strike while the iron is hot. Agents are street savvy, each sharing their knowledge of homes that have been sold, where, and for how much - well beyond a web search. Once you've fallen for a home, your agent will perform a custom analysis by comparing recent home sales, area trends, and get the numbers you need to help you make an educated and competitive offer. Have your ducks in a row. Our vast network of sharp agents are loaded with the connections and tools that help you land your home, while keeping the buying and closing process streamlined. 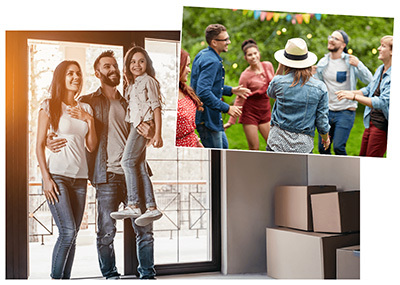 From mortgage services, insurance, title and closings, count on yourRealtySouth agent to coordinate all the moving parts and ensure you are ready for the big day.